Nattokinase is an enzyme derived from "natto," a traditional fermented soy food popular in Japan. During the natto production process, non-GMO soybeans are boiled and fermented with friendly Bacillus subtilis bacteria producing nattokinase. 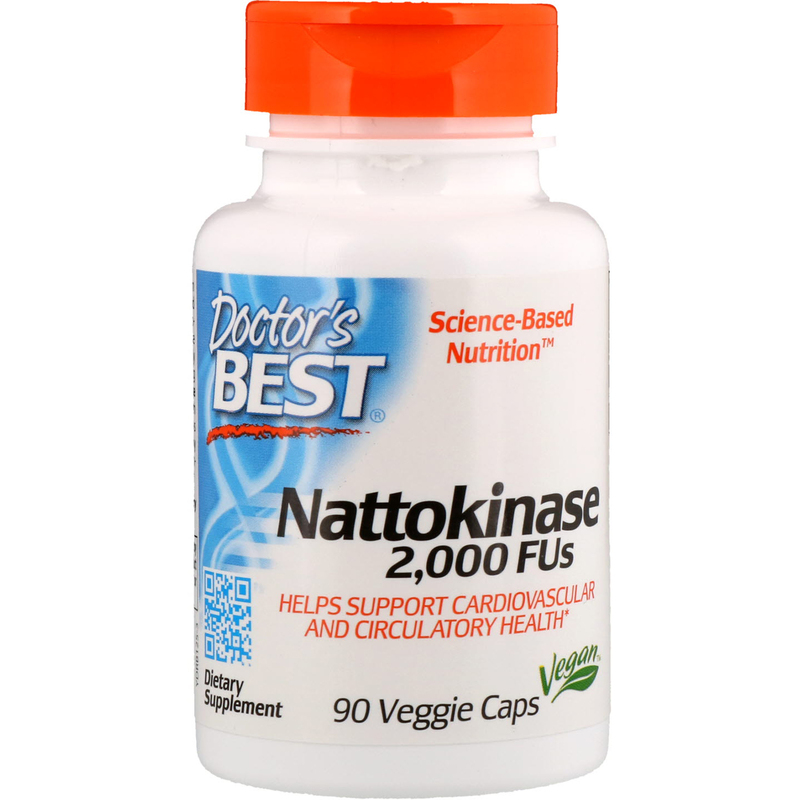 Doctor's Best Nattokinase contains nattokinase enzyme with Vitamin K2 removed. 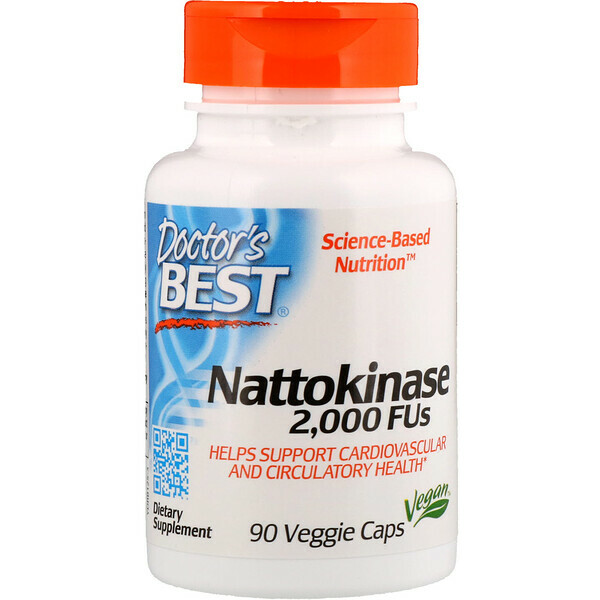 Nattokinase has been shown to support a healthy circulatory system by helping to maintain normal fibrinogen levels in blood. Helps support a healthy circulatory system. 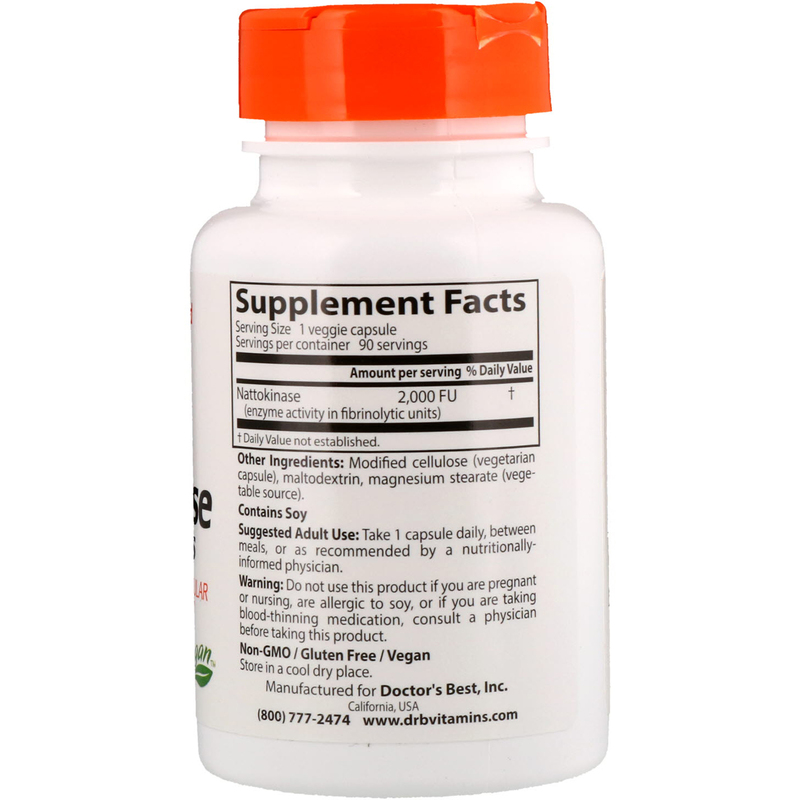 Take 1 capsule daily, between meals, or as recommended by a nutritionally informed physician. Do not use this product if you are pregnant or nursing, are allergic to soy, or if you are taking blood-thinning medication, consult a physician before taking this product.